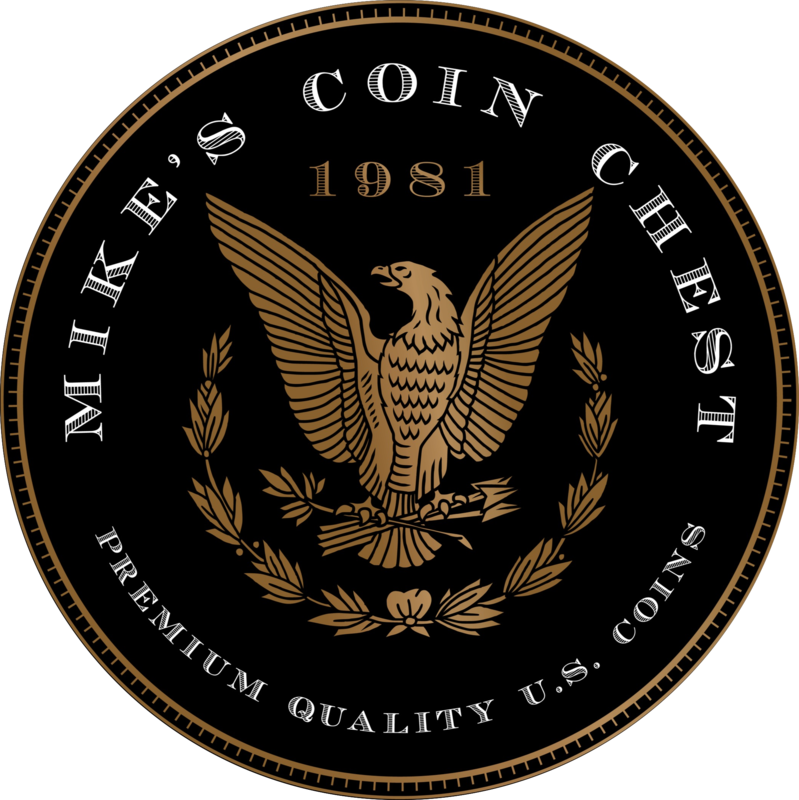 Mike’s Coin Chest was established by owner Mike Bobb in 1981 with an emphasis on serving both beginning and advanced collectors. Specializing in Morgan and Peace Dollars, Mike pays particular attention on conservatively graded PCGS coins with exceptional eye appeal, which have become a trademark of Mike’s Coin Chest. More recently, Mike’s Coin Chest has become an authorized dealer for CAC coins and has one of the biggest CAC inventories in the country. Mike Bobb has over 40 years experience collecting and evaluating coins. His knowledge of premium quality rare coins is often sought out by fellow coin dealers and collectors. In 2003 Mike’s son Shaun joined the compnay. Shaun continues to grow his numismatic skills in a never ending quest to seek out the finest quality coins available in the market. Shaun’s eye for quality extends to a majority of U.S Coins and has helped collectors assemble some of the finest collections of all time. What makes us different from other dealers is “only the finest coins make it to our inventory”. We only sell coins that we would put in our own private collection and no coin is bought for price. Mike and Shaun attend all major coin conventions and auctions. Both at auction and on the convention floor Mike and Shaun pride themselves in providing exceptional customer service by offering professional advice in a personal and courteous manner. Mike’s Coin Chest inventories only gem quality US coins with a focus on Morgan and Peace dollars. In fact, Mike and Shaun have put together many of the top Morgan Dollar registry collections. Mike’s Coin Chest is highly respected and well established in the numismatic community. Whether you are a collector or an investor, looking to build a new collection or find a buyer for an existing collection, we can help. 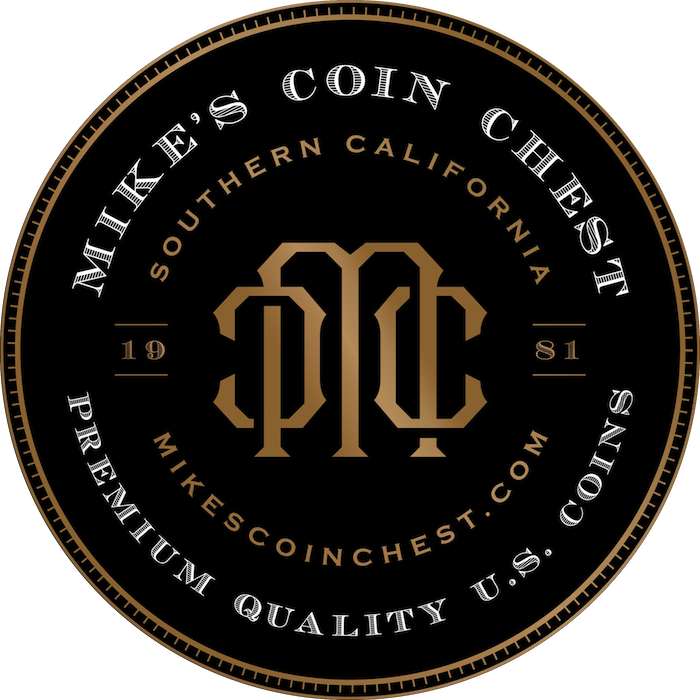 Mike’s Coin Chest founder and owner has over 40 years of experience evaluating rare coins for investment and collection purposes.Mike pays particular attention on conservatively graded PCGS CAC coins with exceptional eye appeal, which have become a trademark of Mike’s Coin Chest. Shaun joined Mike’s Coin Chest in 2003 and his eye for quality extends to a variety of U.S. coins.Specializing in Morgan and Peace dollars, Shaun has helped collectors assemble some of the finest collections of all time.